Millions of NetEnt fans have reason to celebrate since the world-renowned software developer has just announced an expansion of its slots range via the brand-new MAX product line. 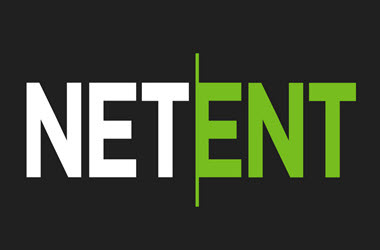 The new NetEnt concept caters to a larger selection of player groups and at the same time allow operators to cater for and address the different needs of a diverse player audience. Tailor-made double game releases for MAX and casual players searching for high winning potential, the new MAX games offer increased return to player percentages. The first MAX double release by NetEnt scheduled for the 23rd of August is BerryBurst and BerryBurst MAX, which offers players more sizeable wins. Although, NetEnt is not currently releasing much information regarding BerryBurst it promises to burst with fruit flavours while super mega wins reach 20,000 coins. It might be difficult for fans to remain cool when the opportunity to plunge into massive wins is only weeks away. The few video slips available currently gives the impression that BerryBurst allows players to mix in more fruits such as slices of orange, halved limes, berries and expanding wilds ice-blocks into an already existing cocktail. To make this experience even more juice the expanded wilds remain in position for future spins to ensure a winning sensation like non-other. The brand-new Max product line will launch simultaneously across all platforms and Chief Product Officer, Fagerlund feels it is important for NetEnt to diversify the game volatility in catering for the needs of different players. The award-winning software developer has always listened to its clientele, took to heart what matters most to players and created games of exceptional visual and audio quality. Max game releases are focussed toward adding a new dimension to the exceptional NetEnt portfolio and is guaranteed to enhance players online experience. BerryBurst MAX was displayed at the iGB Live Amsterdam show for the first time and enjoyed massive popularity on the 18th of July. BerryBurst caters for casual players and offers an RTP of 96.57% and a better chance of hitting smaller wins more often. BerryBurst MAX is perfect for players who enjoy a high winning potential, and while its RTP is 96.23%, high rollers are unlikely to see coin wins often, although when they do it will be of substantial value. Other NetEnt releases to get excited about include Swipe & Roll. This video slot will be distributed to a wider variety of online casinos on the 7th of August, while Double Stacks slot will arrive at all NetEnt Casinos on the 24th of September 2018.